Yesterday I received a concerning email from one of our union members. This is a direct consequence of the recently passed rest breaks legislation. You have stated through the media that these law changes were aimed at providing flexibility, not taking away rights. You said that you saw it applying in situations such as a sole operator at a petrol-station, sole-charge air traffic controllers at small airports, or nurses on a night shift. 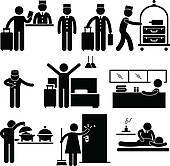 You also said that employees and employers would be able to negotiate their rest breaks. 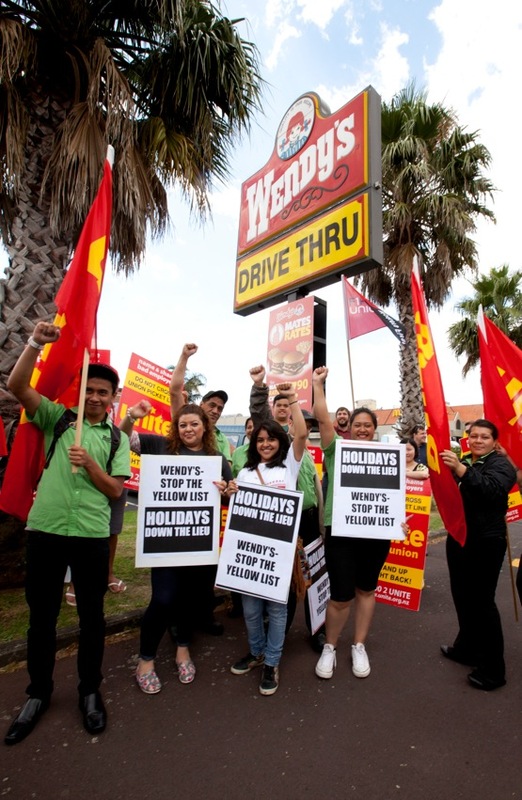 This law has not even come into effect yet and already this legislation has been used as an excuse to take advantage of workers at a hotel in Auckland. These workers are not sole-charge. This is not a small employer. This is a well-known nationwide brand. These workers do an incredibly physical job all day involving heaving lifting, bending, pushing and pulling. Many of these workers are on work visas, many do not speak English as a first language. These workers were not given the chance to negotiate their breaks. They were simply told during a morning staff briefing that their breaks were changing from now on and they were to work almost an entire shift without a rest break. Even if they were able to negotiate their breaks how could they do this successfully given that they are already in a vulnerable position, being that many are migrant workers? This is the direct consequence of the law change you supported. This is the first example. We expect there will be many, many more. I have some questions for you Minister. a) Is this the actual intended effect for this legislation, do you think this is fair and reasonable? b) Do you think this is reasonable in terms of an employers’ responsibility regarding the health and safety of these workers? c) How do you suggest workers go about negotiating their tea breaks with their employer, especially non-union workers? d) Do you have any further advice for these workers? Mr Woodhouse, I am eager to discuss the effects of this law change with you further. 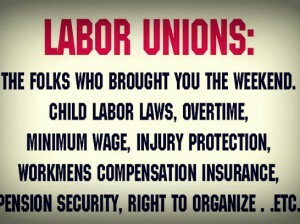 Would you be willing to meet with us and a delegation of our union members? A chef employed at a Christchurch Vietnamese restaurant has been awarded $174,356.65 after working for five years without being paid, in what the Employment Relations Authority calls one of an increasing number of cases of exploitation of migrant workers. 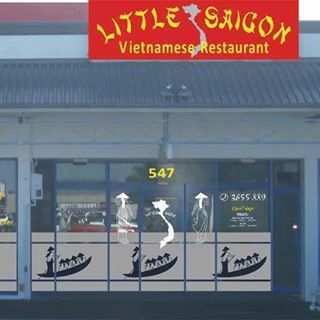 His brother has also been awarded $14,386.73 for not being paid either.Bao Ho Van Nguyen and Vu Ho Van Nguyen both worked in Hue Kim Thi Ta’s restaurant Little Saigon. Across the union movement we have seen a number of documented cases now where companies are liquidating their business in order to avoid their legal obligations, in terms of paying the minimum entitlements to their workers. The most recent example is the case of Momo Tea. 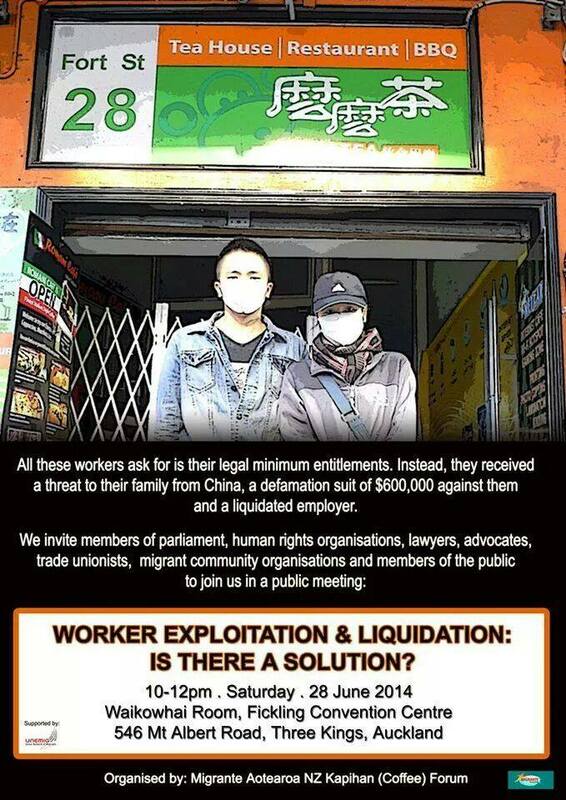 Momo Tea workers raised a case related to unpaid wages and annual leave among other breaches to their minimum workers rights. The workers say they were bought into a meeting and told by their employer that because they had raised these breaches the company would be liquidated and they all had to clean up the restaurant and leave as they had lost their jobs. The following day, despite the liquidation, the restaurant carried on trading. The company had simply transferred workers from their other restaurants to cover the shifts. An Auckland hotel has been ordered by the Employment Relations Authority to pay nearly $80,000 in outstanding wages to two employees. Filipino couple Abraham and Nancy Agustin were employed at Auckland Harbour Oaks, and alleged the hotel had underpaid them and withheld part of their salaries. The employers maintained their payment regime is correct but failed to provide any wage and time records to the authority, as required by law. 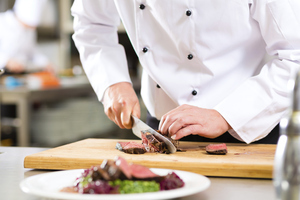 A former chef at an Auckland cafe has been awarded more than $50,000 in unpaid wages and compensation for unjustified dismissal. The Employment Relations Authority was told by Lin Zhang that she had been employed by Tan Pacific at its cafe business in Auckland after travelling to New Zealand on a student visa. Tan Pacific failed to show up for any hearings or respond to allegations throughout the authority’s investigation. Ms Zhang told the ERA as evidence that her student visa was set to expire when she saw a job for a full time chef at BB’s Cafe advertised. Ms Zhang said during the course of the interview she told her employer William Tan her visa was about to expire. She said Mr Tan told her he would offer her the job and help with her visa application if she paid him $23,000 as a bond, to ensure she would remain working for him for two years.